Get control of your seconaries with this kit. 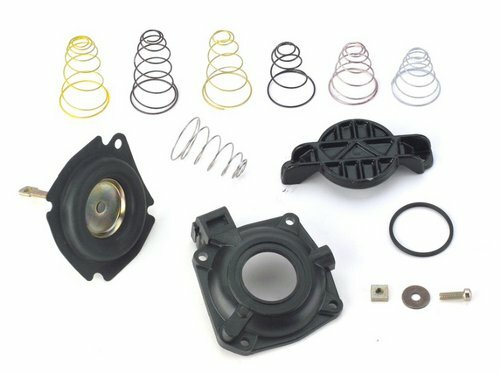 Comes with upper housing, diaphragm, quick change lid, O-ring seal, and spring assortment. Also included is hardware to retain a manual choke cable.